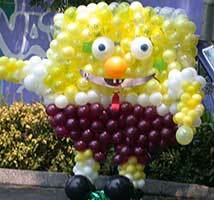 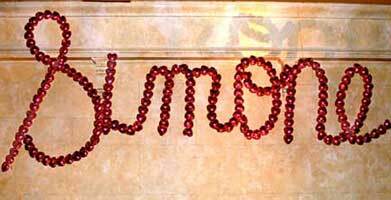 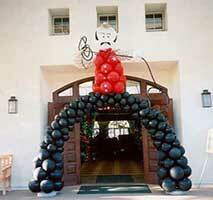 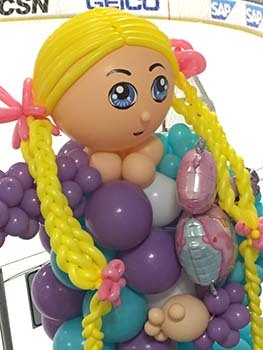 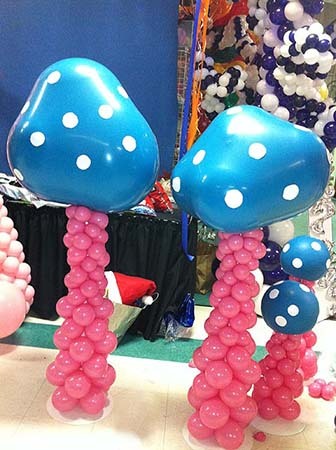 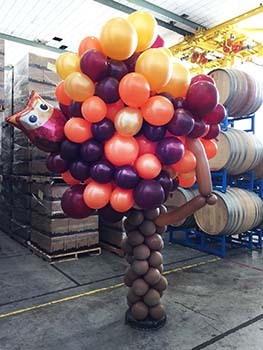 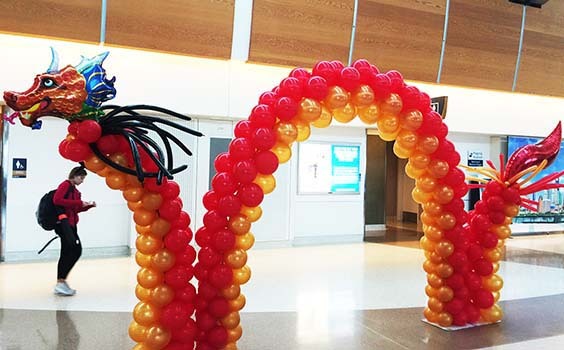 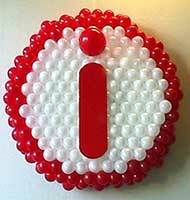 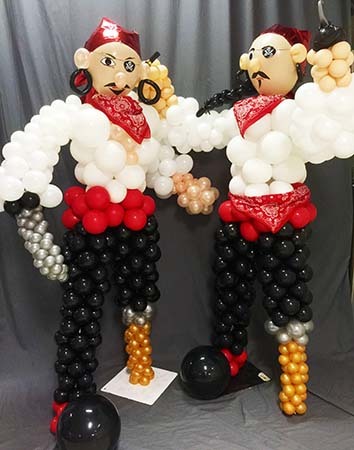 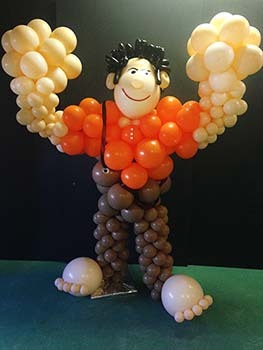 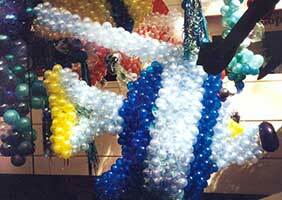 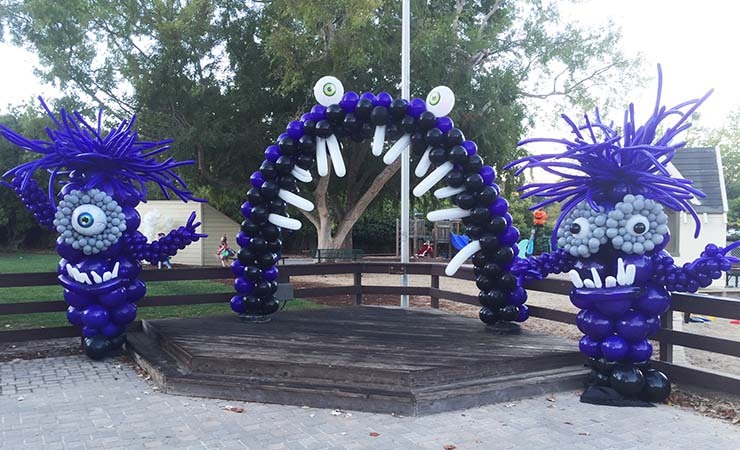 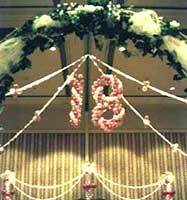 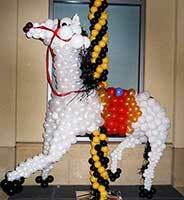 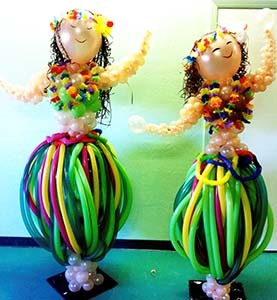 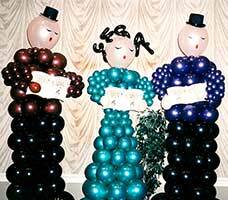 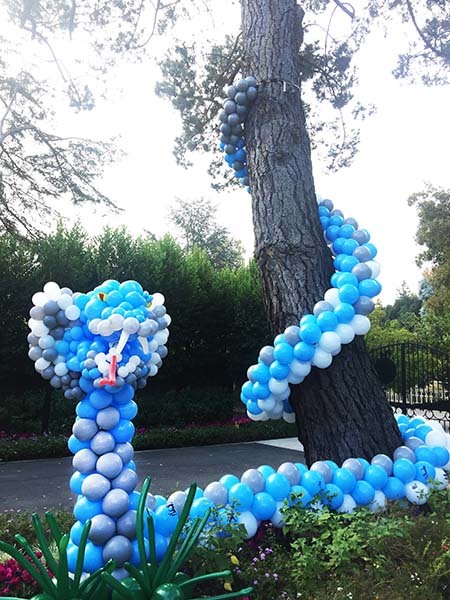 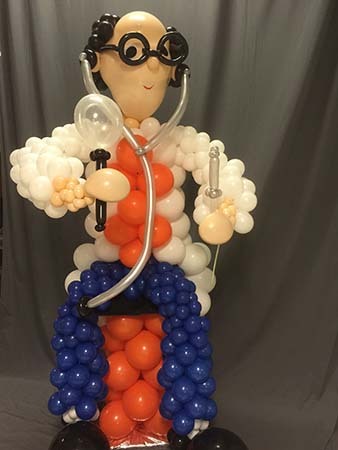 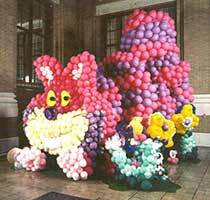 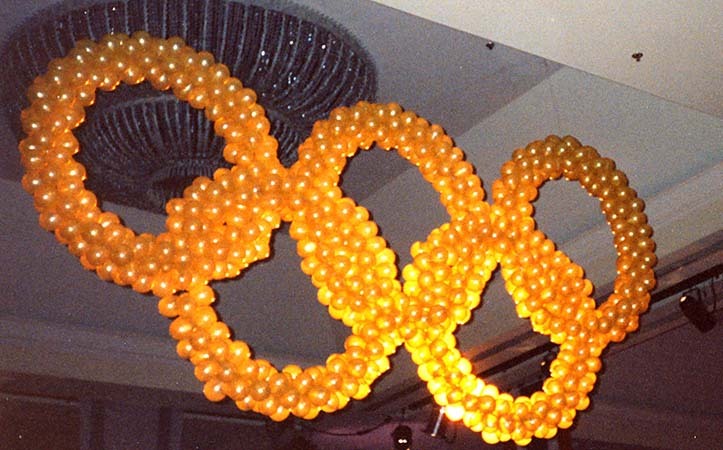 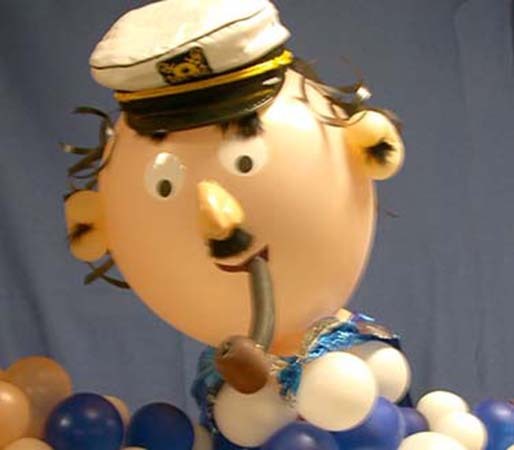 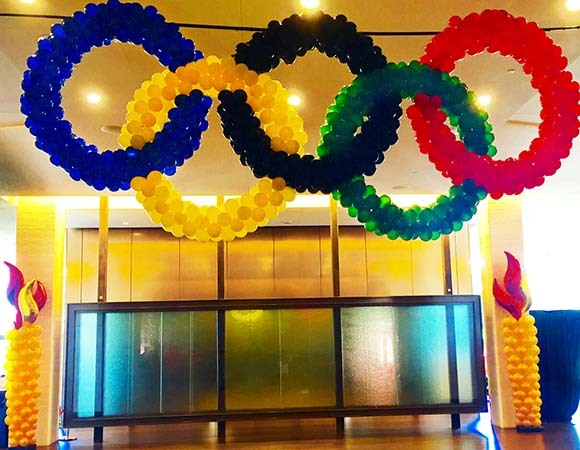 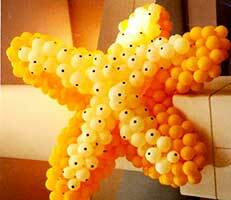 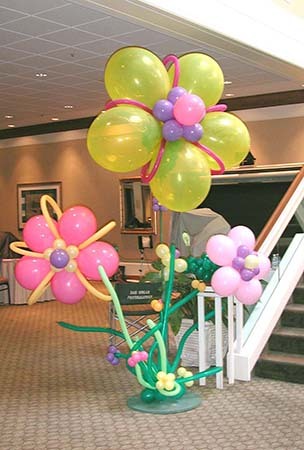 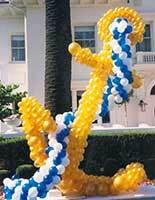 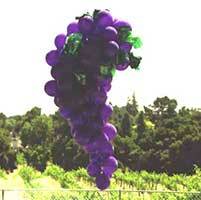 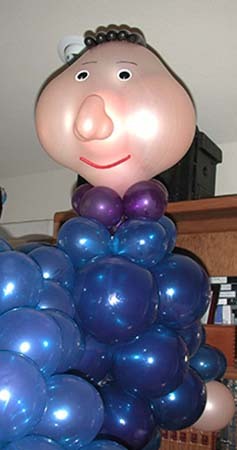 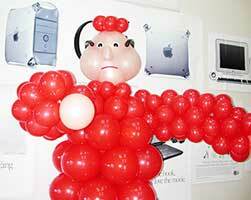 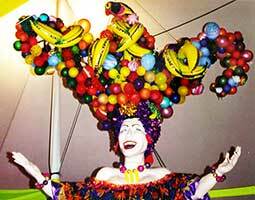 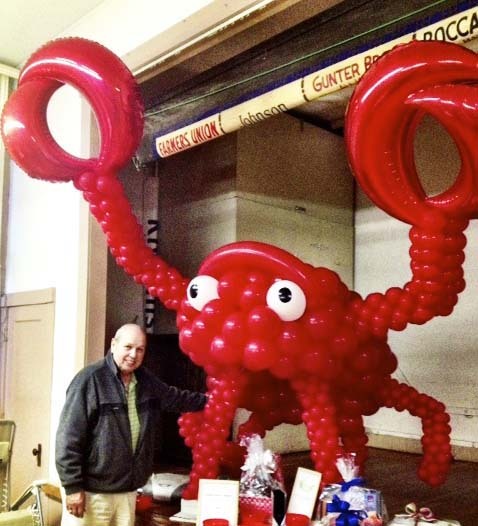 Balloonatics creates custom balloon sculptures that compliment and communicate your event theme. 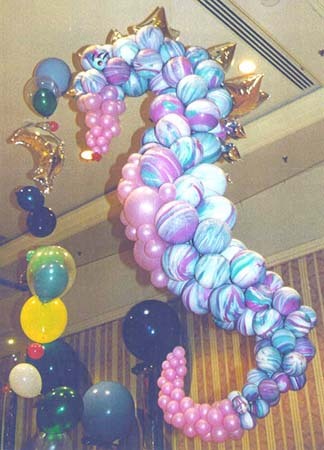 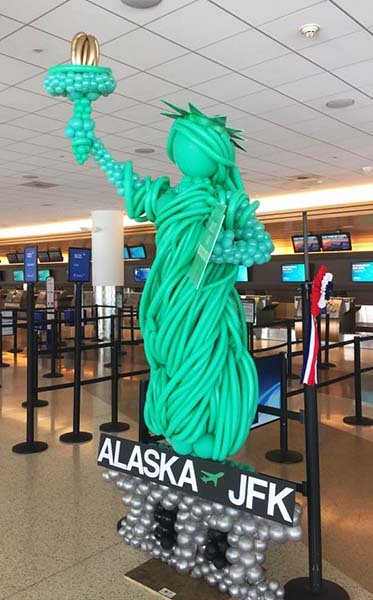 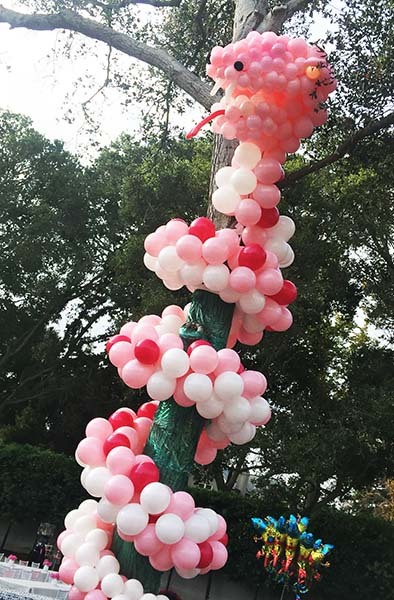 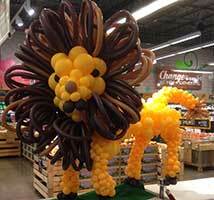 Our imaginative (yet cost-effective) bigger-than-life balloon sculptures add a quality of realism to an event that cannot be achieved with standard table and wall decor. 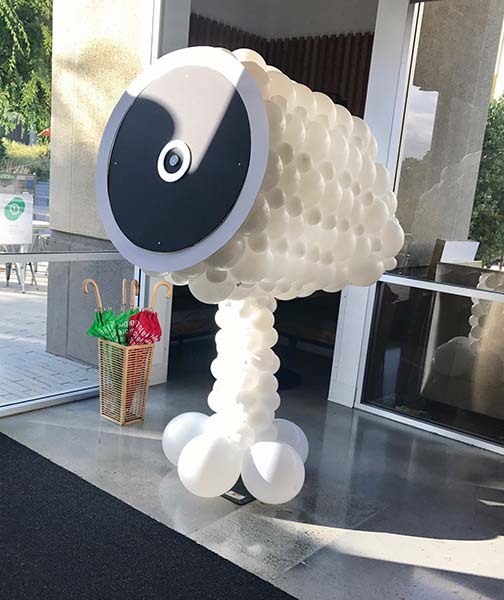 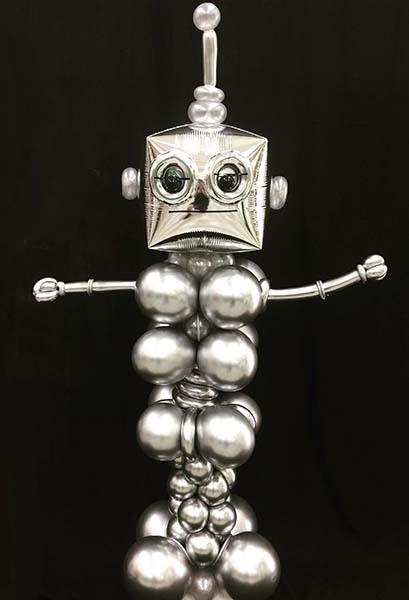 The photos in these galleries show a variety of custom sculptures we can design for almost any occasion and event theme. 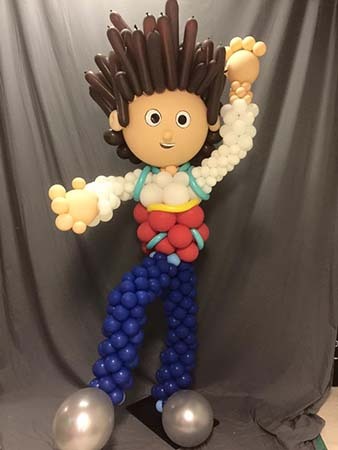 Bring your event to life! 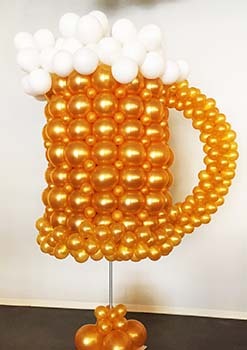 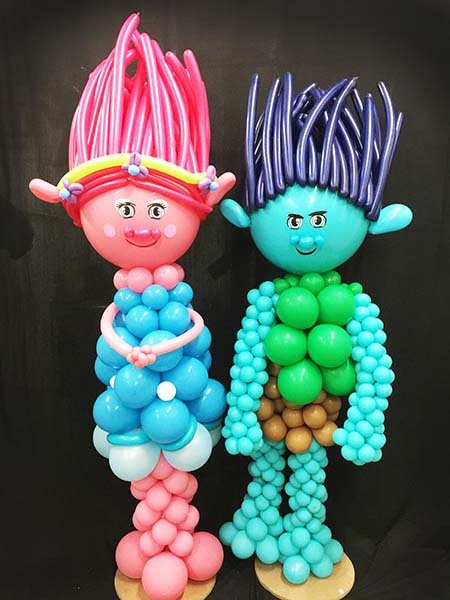 Surround your guests with unique balloon or foam-core characters which reflect your theme. 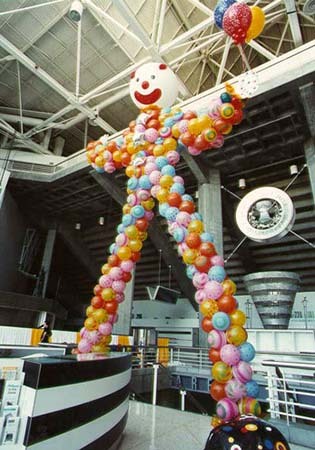 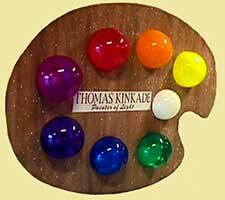 From life size to gigantic, fanciful to realistic, our characters fill the room with joy, color and whimsy. 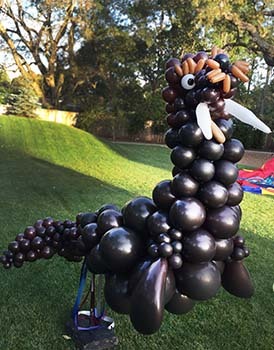 Balloonatics creates critters you have seen (and those you have never seen)! 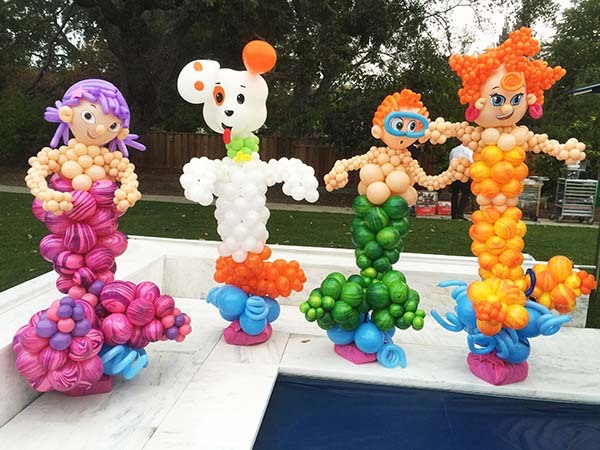 From mermaids to seahorses to elephants to dragons, ... our celebration artists can invent balloon sculptures that are only limited by your imagination. 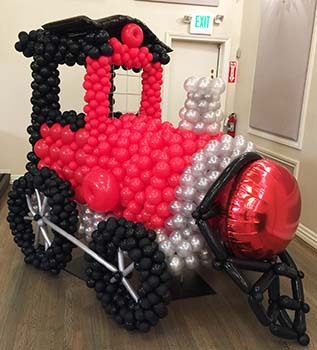 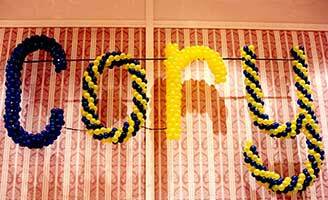 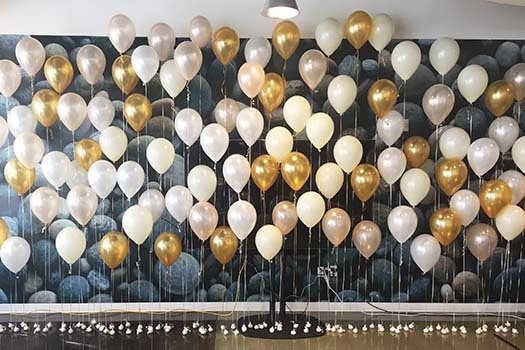 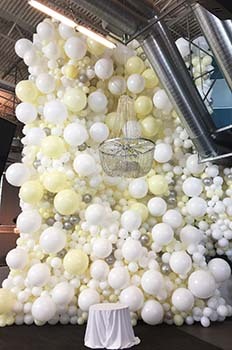 Our artists use a variety of materials, including Foamcor® as well as balloons, to create custom props for a wide range of occasions from corporate events to theme parties to life celebrations. 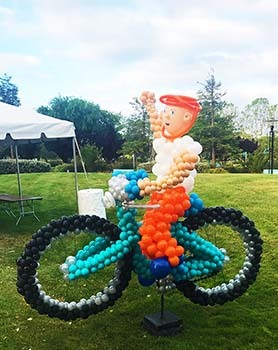 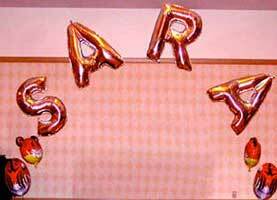 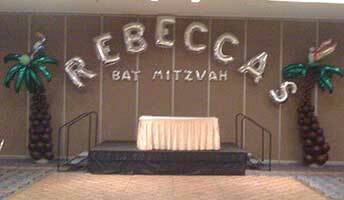 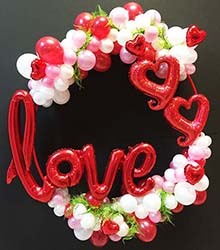 Balloonatics artists create high visibility theme-oriented signs from a variety of materials for a wide range of events, from birthdays to mitzvahs to corporate events. 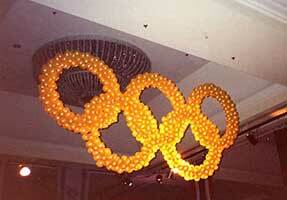 Our large-scale logos give superb visibility to your corporate signature. 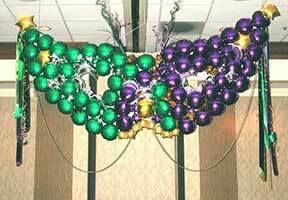 They provide exceptional recognition or distinction in sporting, marketing and trade show events, as well as for large venue employee events.